There is Electricity Museum nearby Yangjae Station (Seoul Subway line 3 or Bundang line). It takes around 30 minutes to get there from Gangnam Station. The electricity museum was established and by KEPCO (Korea Electric Power Corporation) to organize and keep its history well. Also it is an educationally efficient space because its contents are not only about electricity but also about Korean modern and contemporary history. 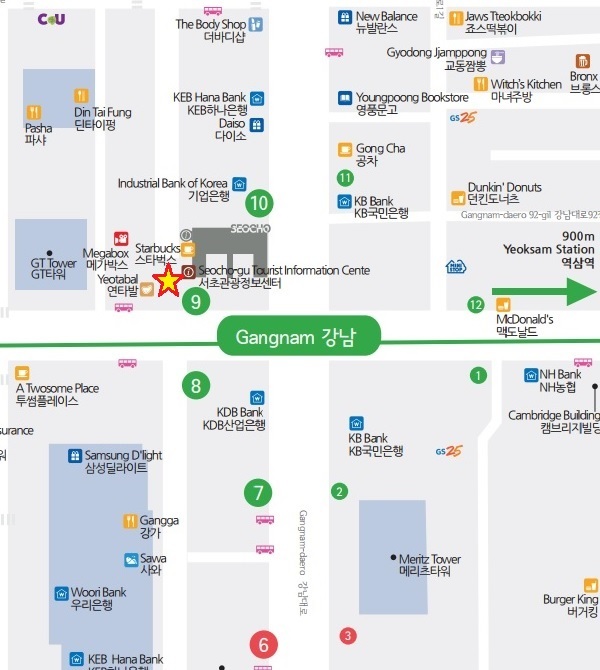 You can walk straight from the exit 5 of Gangnam Station, however it is closer form exit 1 of Yangjae Station. When you walk around 5 minutes from Yangjae Station, you can see the KEPCO. The museum is located on the right side of the building. The Art center gallery is on the first floor, and the electricity museum is on the third floor. of electric power and modern electronic power. In the center of the museum, you can see the exhibit that recreates the historic moment of Korea’s first lamp using electricity. Electricity was first adopted by King Gojong of Joseon in the late 19th century. He signed a contract with Edison Illuminating Company in 1884 to construct an electricity plant inside Gyeongbokgung Palace. The first exhibition hall focuses on the history of electric power from the birth of electricity to its development. A number of displays show the life of the rural areas after the electricity was available. It brought a huge change to people’s daily life. Also it was useful to know various information about coal-burning power plant, hydroelectric power plant as well as Nuclear power plants. There is a space for KEPCO introducing its history and the business strategy for the future. It was good to look back on footprints of electric power industry in Korea. I could see Edison’s inventions. In modern electricity hall, visitors can learn easily about electricity by touching and feeling. Especially it seems to offer a fun experience for children. It was very interesting to know about the electromagnetic waves in everyday life. Even those who are not interested in could enjoy. The pictures can help visitors better understand the principle of the plants. There are many displays to introduce KEPCO’s New vision for opening the new world for hope. Creating new future values with creative and harmonious energy and opening the world of clean and convenient energy. The electricity museum was very well organized with abundant materials, and it is worth a visit. It was a good chance to think about the importance of electricity.